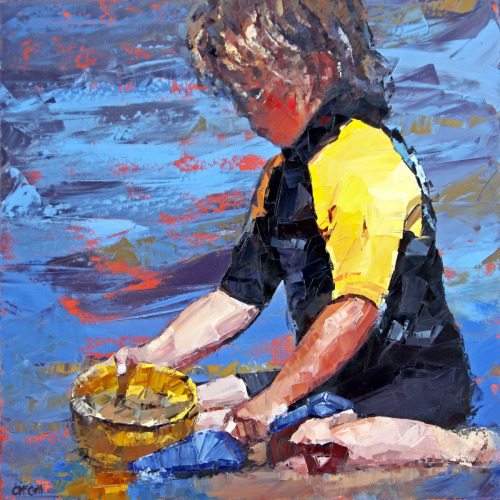 Painting no. 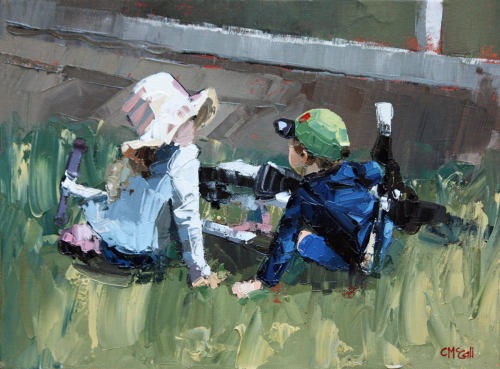 2 in the 'Bikes And Scooters' series. 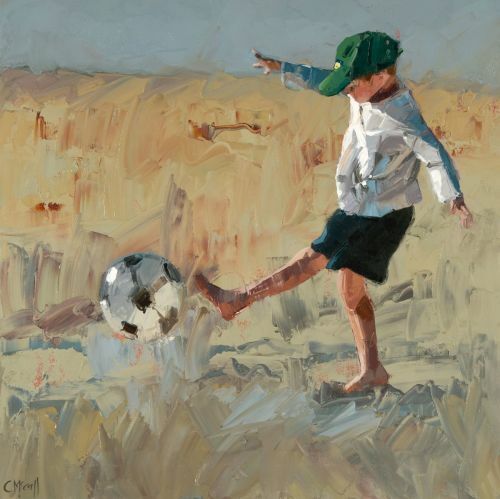 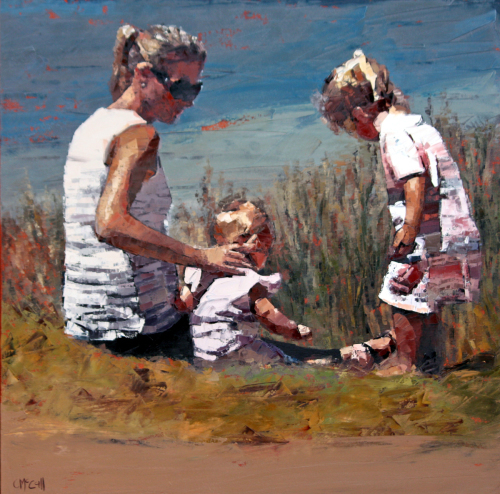 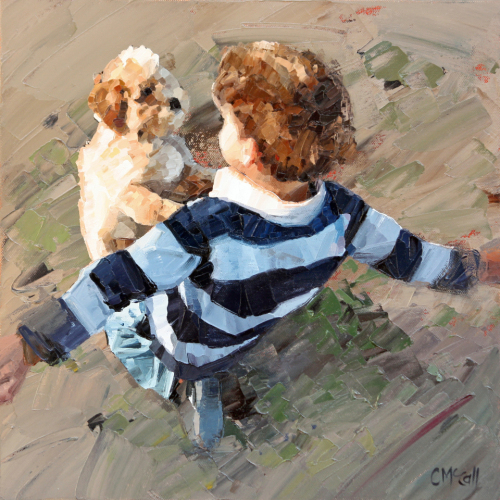 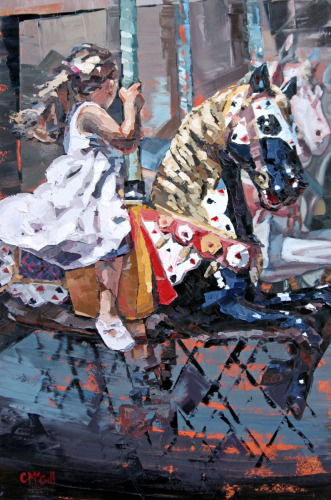 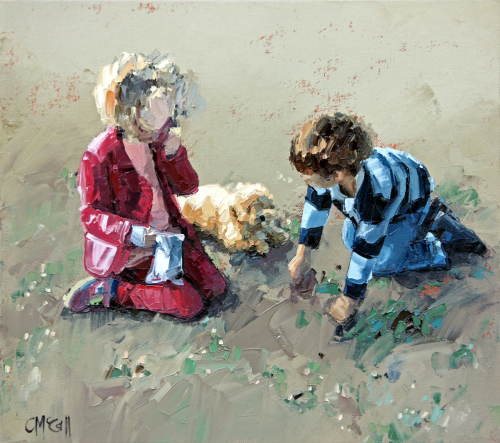 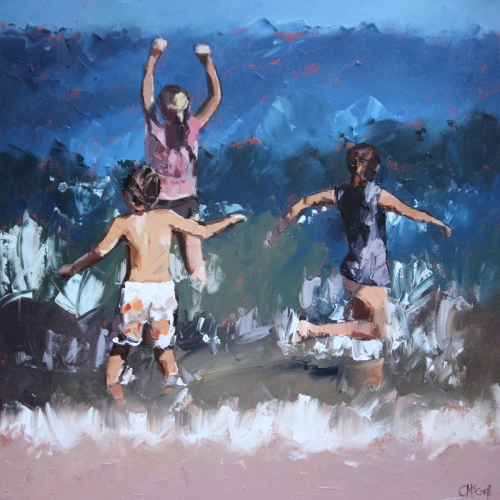 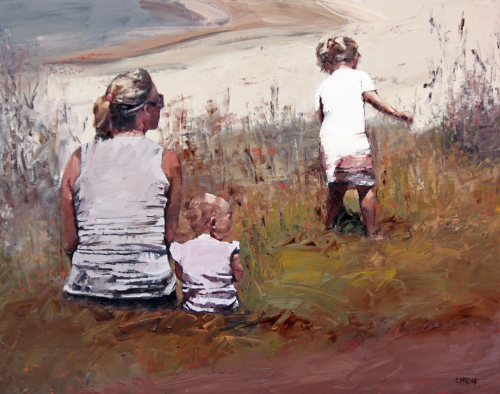 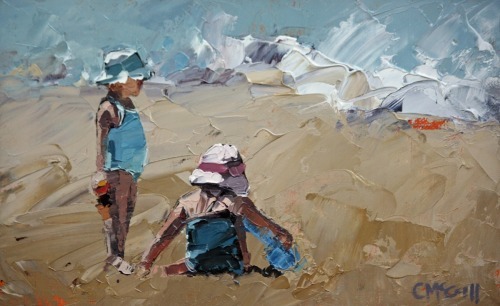 Celebrating endearing memories of childhood, this painting is completed with a palette knife to give texture, bold colour and movement. 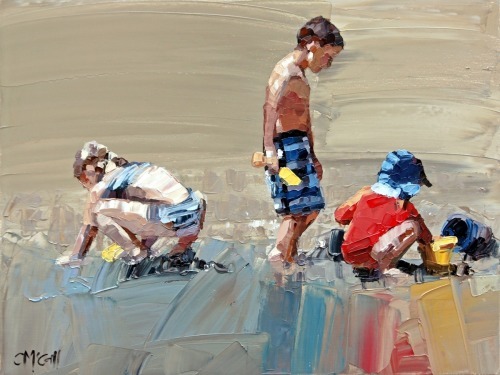 Serious sand play as these boys construct their masterful structures. 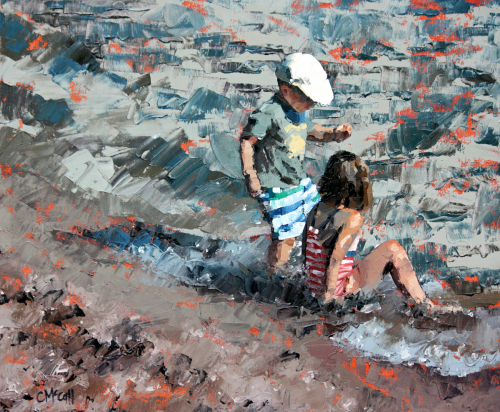 Celebrating endearing memories of childhood, this painting is completed with a palette knife to give texture, bold colour and movement. 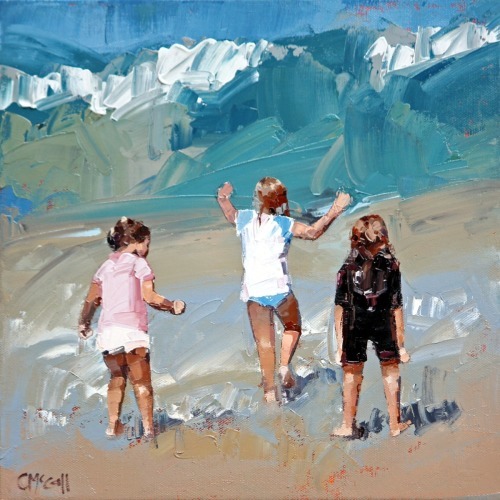 Running towards the waves and running away with squeals of delight! 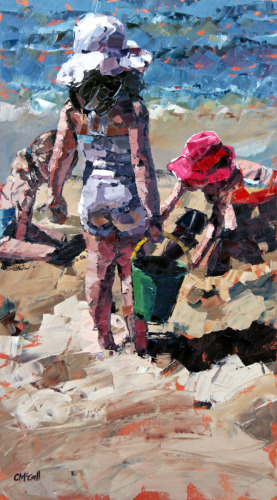 Oil on canvas, palette knife painting. 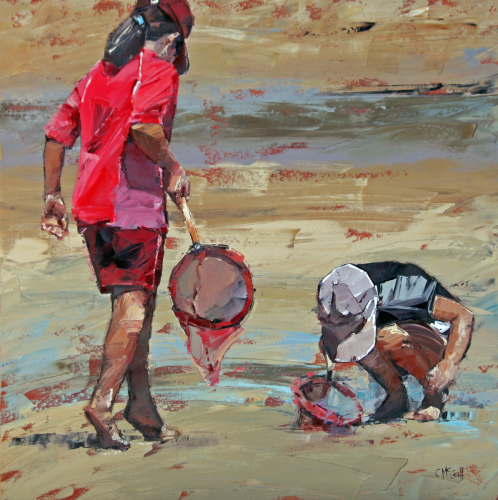 In and out of the rockpools, hours pass effortlessly as the children search for pippies before the tide comes in. 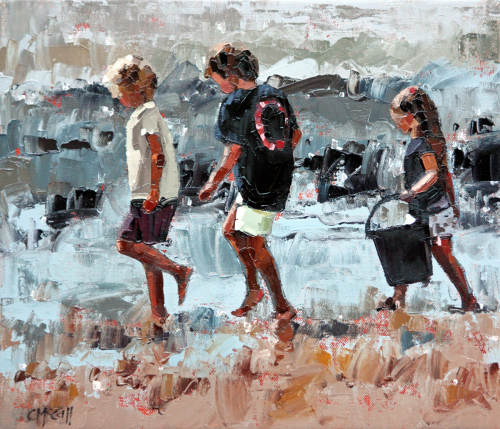 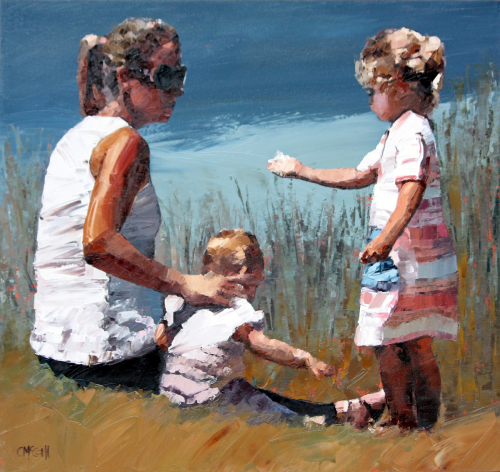 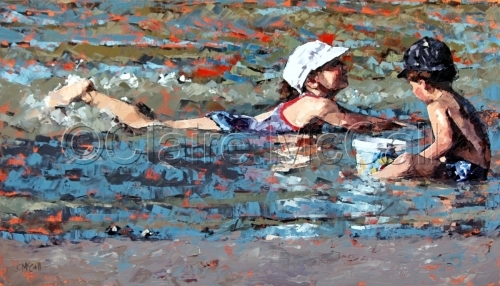 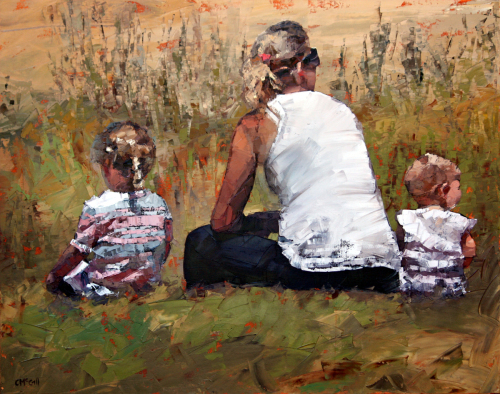 No.3 in the series, this piece is completed with a palette knife only, full of texture, movement and life. 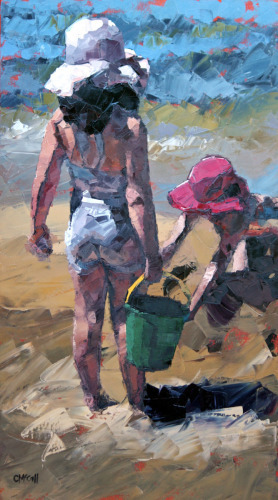 Oil on canvas painted with a palette knife only. 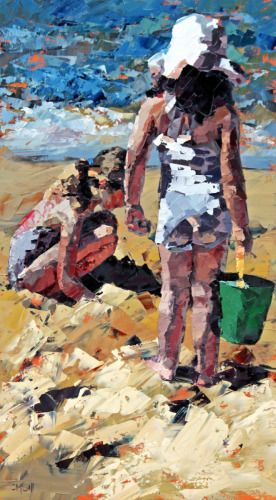 Feel the spray of the ocean waves as they break. 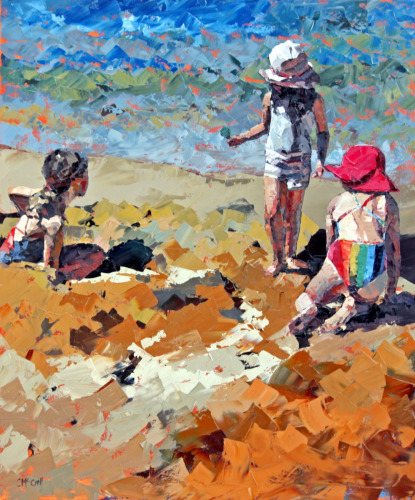 This impasto oil painting is full of texture to convey the beach day atmosphere and wonderful childhood memories spent standing at the water's edge. 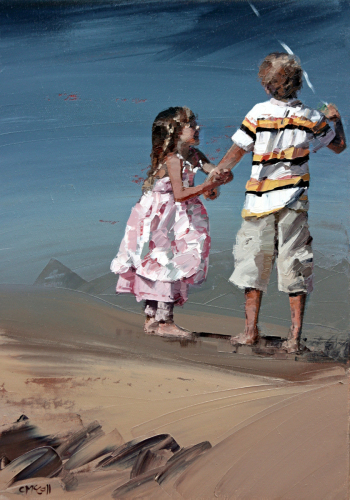 Congratulations to W.Johnson from Florida, the winner of this original piece on dailypaintworks.com. 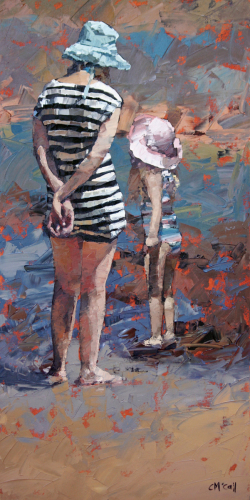 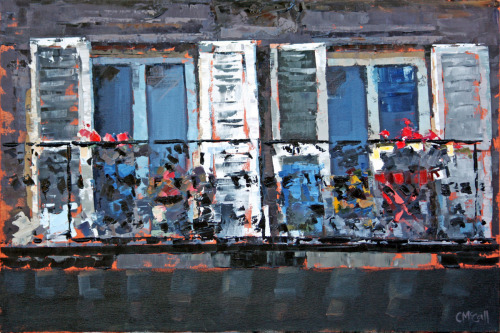 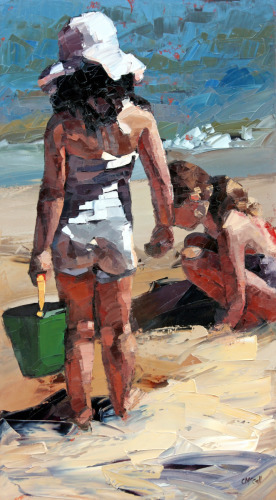 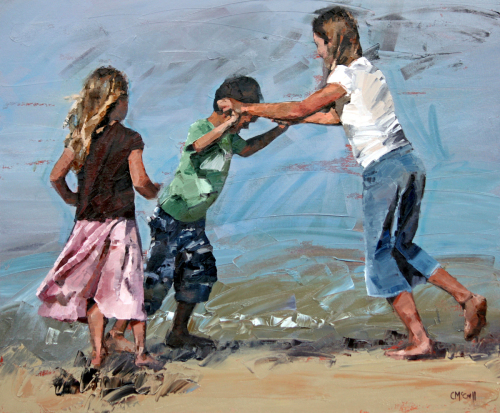 No.2 in the series, this piece is completed with a palette knife only, full of texture, movement and life. 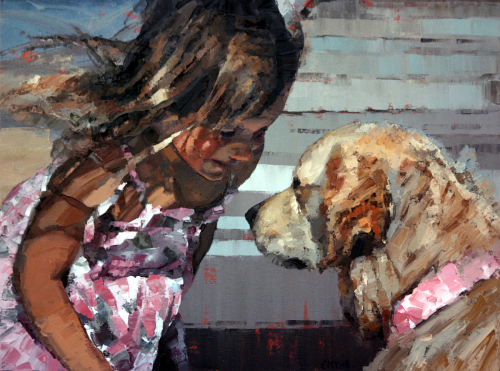 to whisper my fears and lick away tears. 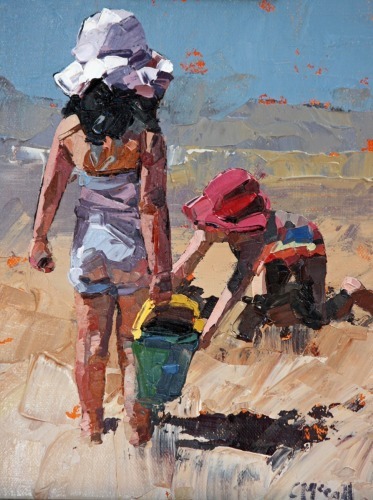 The perfect beach afternoon... favourite red bucket in hand, sunshine and best friend at your side. 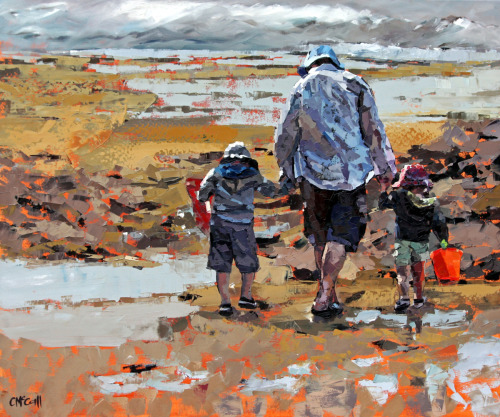 Searching the rockpools for hidden treasures. 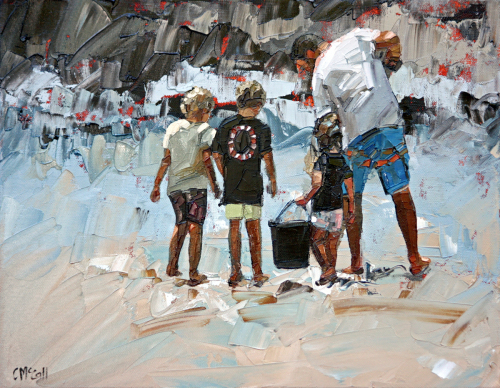 Feel the excitement as Dad & the boys venture into the shallows with buckets and nets in hand. 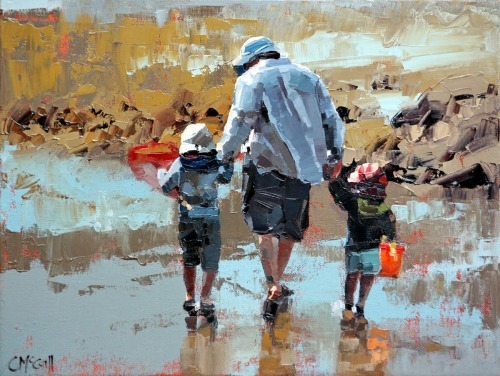 Winner of the Silver Medal at Yakkerboo Art Show 2016. 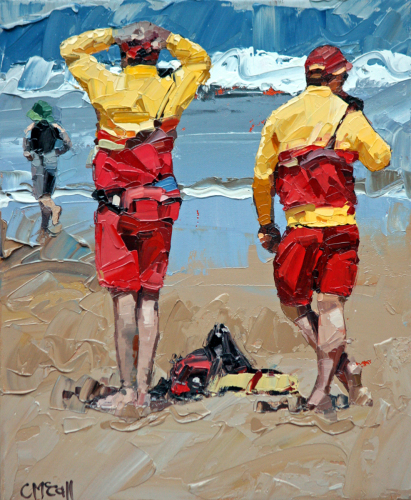 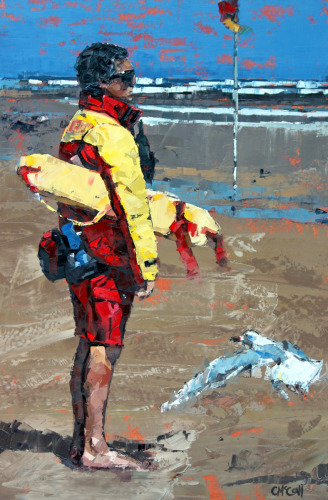 Keeping an eye on the beach goers, we love and rely on our lifeguards in their iconic red and yellow uniforms. 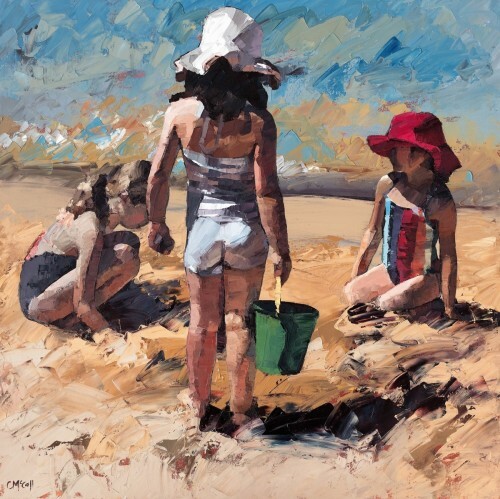 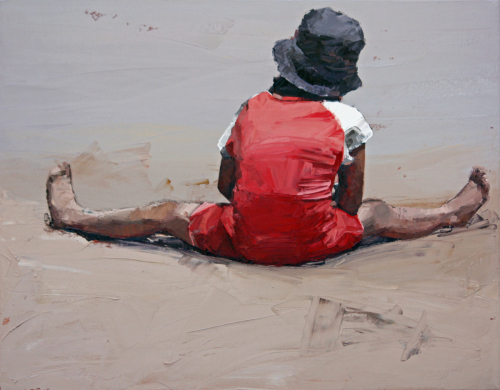 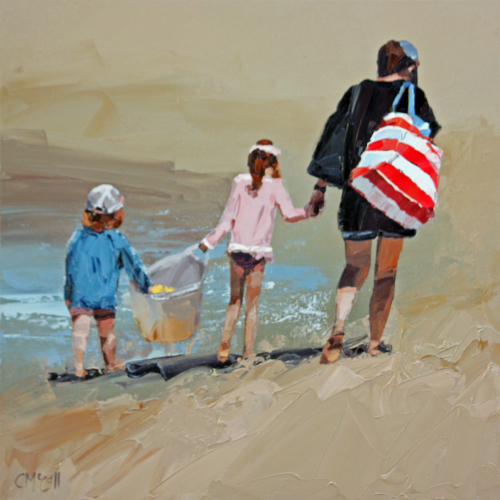 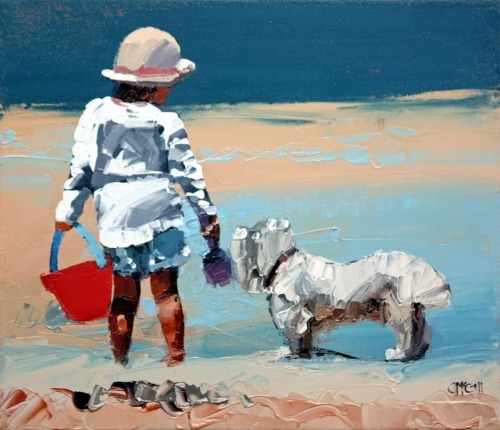 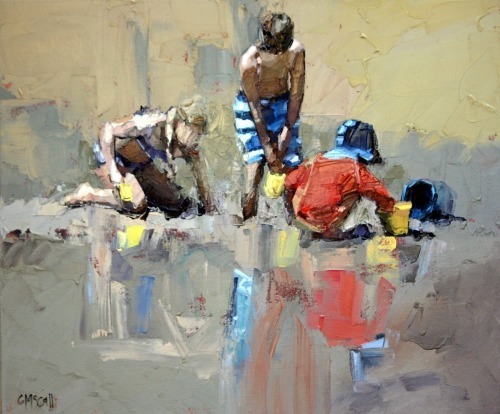 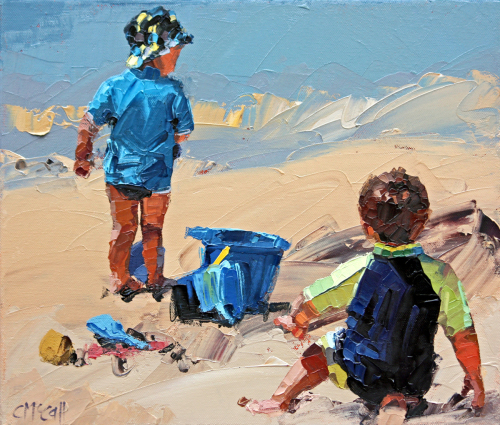 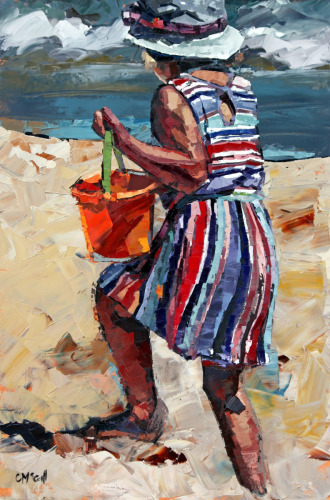 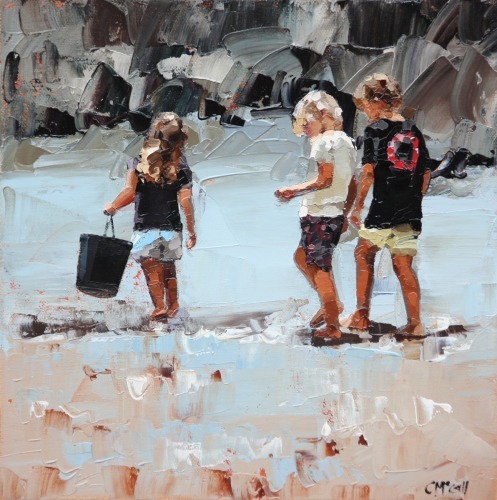 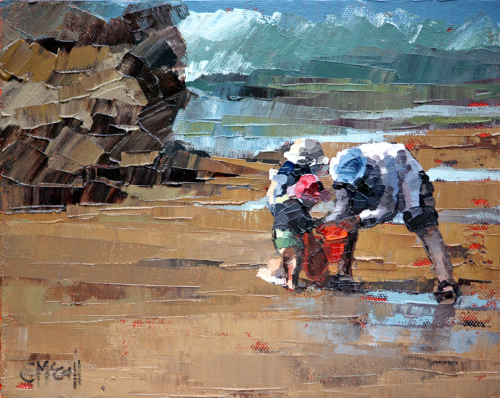 Celebrating endearing memories of the beach, this painting is completed with a palette knife to give texture, bold colour and movement. 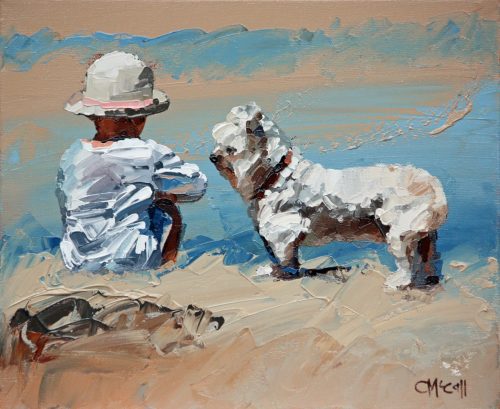 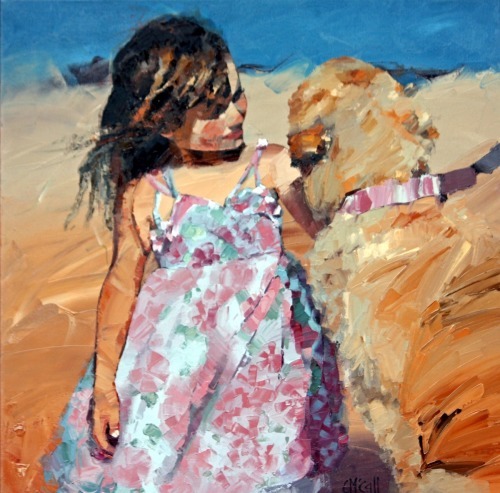 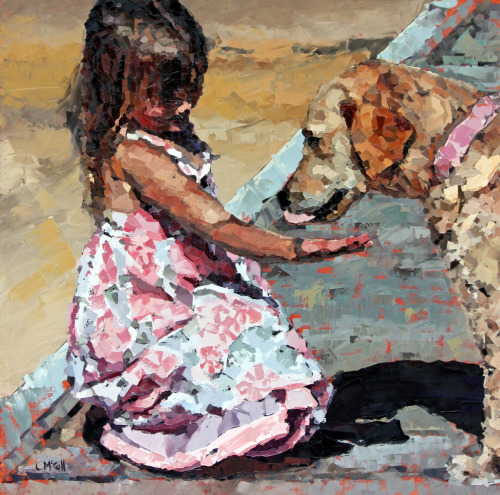 Oil on canvas, palette knife "Whoever said that diamonds are a girl's best friend, never had a dog." 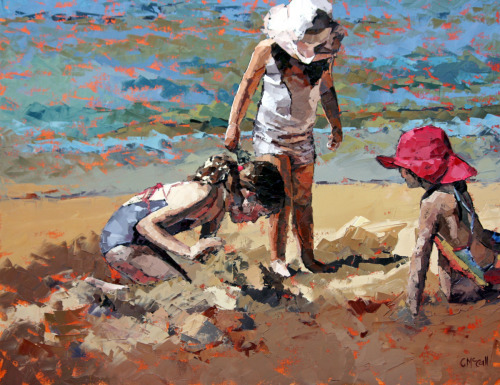 Serious sand play as these children carve up the wet sand.